I can hardly believe that we are already into the 2nd week of Stamptember!! have you been following the awesome inspiration and events every day on the Simon Says Stamp Blog!! Its is brilliant and I am having a great time following all the goings on! We are showcasing CASual Friday Products this week! You don't have to use them to join in with the challenge but if you have some we would love to see them used! 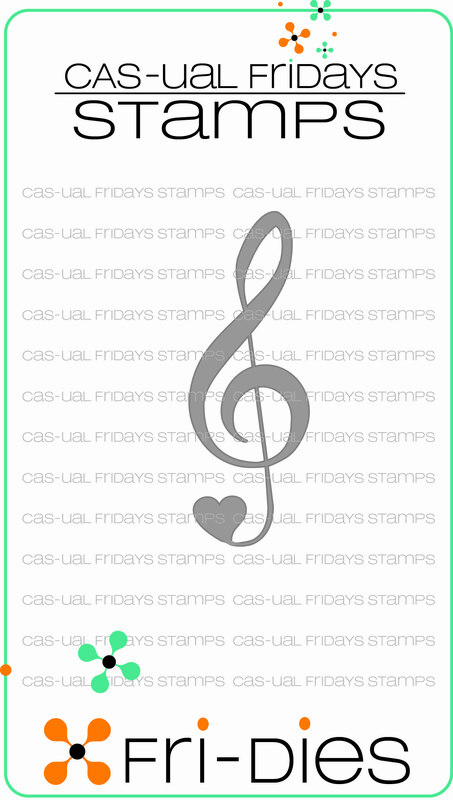 I made a set of 3 cards using a Treble Clef and Funfetti Dies and a Heartfelt Sayings Clear Stamp Set to make a fun little set of CAS cards! Fot this 1st one I used my new and super fabulous We R Memory Keepers Sewing Machine to stitch the staves (I think thats what they're called) and just added a few random hearts for a pop of colour. For the 2nd one I made a simple shaker. So now it's YOUR turn to get out your supplies and create, just don't forget to keep it simple!